Tennessee horse trainer Cat Enright pushes the boundaries of lost friendships as she tries to solve the murder of a country music star. When the body is found floating down river from a nearby therapeutic riding center, Cat dives into the investigation. Between mourning a friend, chasing down murderers, an absent boyfriend, a new horse, an extra child, learning the ways of the music industry, and the weird behavior of the (possibly) psychic mare Sally Blue, Cat has her hands full. 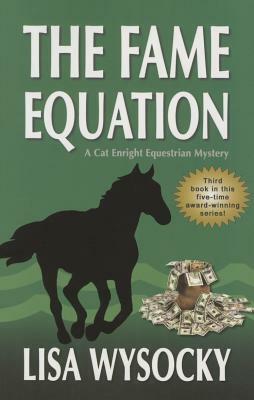 The Fame Equation is the third in the award-winning Cat Enright cozy mystery series, and features a glossary, recipe, reader club questions, and seventeen quick tips on horses and horse care. The series has been optioned for film and television.